Expand your staff and your thinking by engaging Voodoo's creative team. Voodoo platform users often feel like members of a special club. One key benefit is access to Voodoo's video production services. Our mega-award-winning production team will help you craft strategic content in the easiest, most cost-effective way. Concept to campaign in 6 weeks or less. Come shoot at Voodoo's HD production studios in California or with one of our affiliated producers in your local market. Scripting, post-production and other creative work can be completed entirely through online meetings and reviews. Voodoo provides end-to-end creative and production services for high-impact communications and calls-to-action. 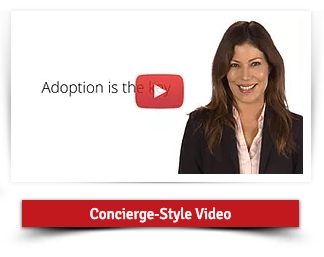 We remove that burden from you – so you can pull together a major initiative quickly. A lot of organizations — even big ones — fear video production. They assume it’s expensive, time-consuming and fraught with peril. 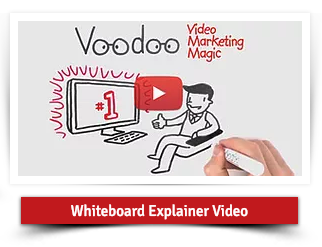 Voodoo Video Marketing is never afraid of video. In fact, we love it, we believe in it and we know from experience that it can and should play a central role in your business communications. A MUCH larger role than it now plays at most organizations. 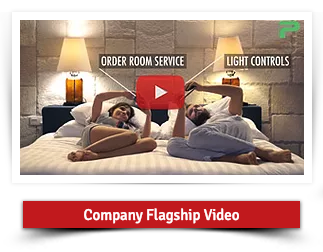 When used strategically throughout the customer life-cycle, video can produce huge gains in sales, customer satisfaction, repeat business, brand loyalty and referral generation. Done right, Automated Video is the ultimate growth-hack to enhance your success and free up you and your staff. Voodoo is a one-stop provider for every aspect of Automated Video Communications and growth-hacking. Complete strategy, content and video production services. A major advantage in time-to-market: concept to script to screen in 6 weeks or less. 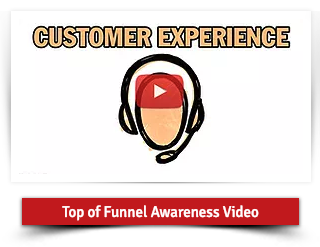 Many videos qualify for vendor marketing funds reimbursement.